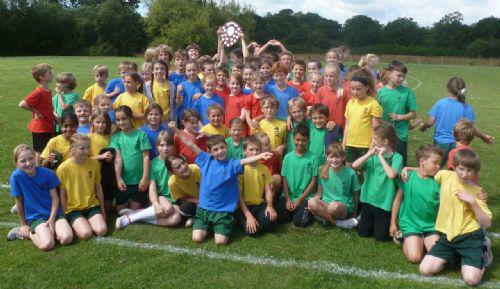 The postponed district sports were held again this year at Burstow School. We won by a big margin of 46 points, 239 Meath Green to second placed Yattendon 193. All our children did exceptionally well and we are very proud of them and what they have achieved. Well done to all our children and thank you to our great teachers who coached the children and also parents who supported our children and helped with transport on the day.